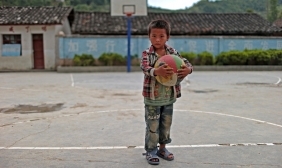 Youngsters have been isolated by government one-child policy and parents moving to find work, but China is seeking to expand provision, promote psychotherapeutic approaches and adopt preventative measures. The Mental Health Innovation Network (MHIN) has just launched a new website that aims to support its mission of accelerating progress toward implementation of innovations in global mental health. 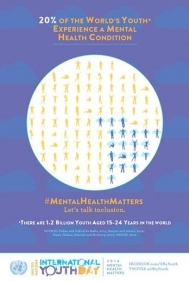 The theme of International Youth Day 2014 is “Youth and Mental Health” under the slogan "Mental Health Matters". EUFAMI is a Federation of national and regional family organisations from across Europe. Shared by Mariana Pinto da Costa, collaborative member of the Gulbenkian Global Mental Health Platform. In rural Ethiopia, people who suffer from mental, neurological and substance use disorders have very limited access to care as mental health services are mainly centralized around Amanuel Mental Specialized Hospital in Addis Ababa. However, things are changing slowly but surely.